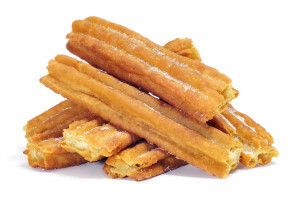 It’s not really clear where exactly churros came from. The most common theory is that the Portuguese brought them to Europe from their trading trips to the orient. However, it’s also believed the Ming dynasty passed a law that sharing the secrets of the churros ways with foreigners was an offense punishable by death. Somehow the Portuguese were able to replicate the generally idea but never learned the Chinese technique for “pulling the dough.” Instead, they mold their churros in a star shape which is often seen today. If you have always dreamed of making a Mexican meal, then you’ve come to the right place. Here are some authentic Mexican recipes to fulfill that desire. The best part about these recipes is that you do not have to be a gourmet chef; they are actually quite easy to make. Below are recipes for every course of your Mexican meal. You will love how simple they are, and your family and friends will love how delicious they taste. Join our email list to get updated on specials and new dishes at Acapulcos! Like us on Facebook from here! Prices vary by location and are subject to change without notice. Please ask for total when ordering takeout. ¡Gracias!